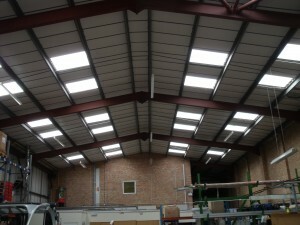 In August 2011 Weatherfix were contacted by Ingersoll Rand in Ashford, Kent to provide a site survey and quotation for the replacement of 30 Grp rooflights to there main factory roof. The existing rooflights were leaking and not letting any natural light through anymore causing huge electrical bills as the lights had to be permantly left on. They aslo had a site inspection from head office to inspect the factory and working conditions. Weatherfix mananged to replace all 30 Grp rooflights safely using the Fixsafe system which allows all rooflight replacement to be done from inside. 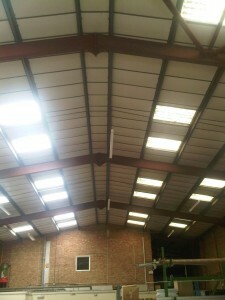 The roof works were completed on schedule and within budget.